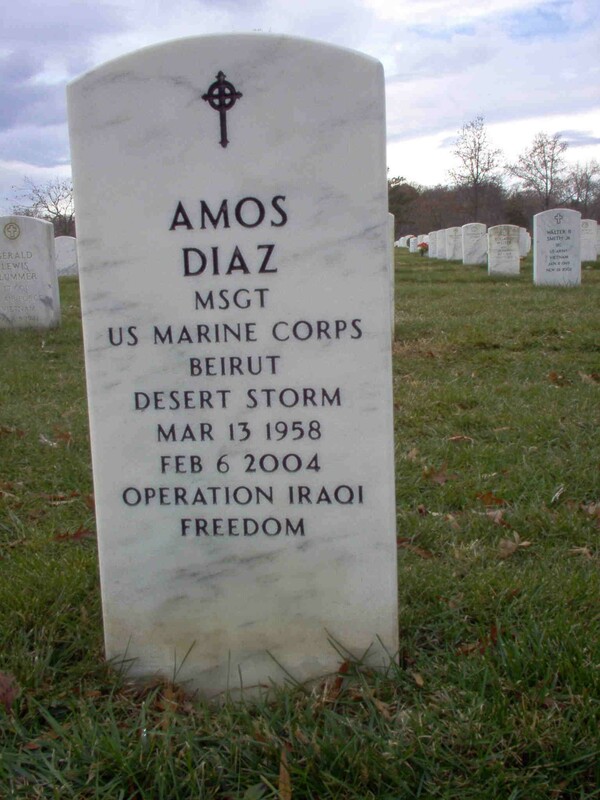 Virginia Beach, Virginia – Marine Corps Master Sergeant Amos Diaz J., known as “Famous Amos” to all his friends, passed away quietly and peacefully surrounded by his family. He served 23 years of dedicated service to his country serving the majority of his time in the Reconnaissance community, his jobs had him traveling all over the world and he touched everyone he came in contact with. He was a dedicated family man; he was a leader and a teacher up until the end, and in true “ Amos style” he never quit, his body gave out before he did. A funeral service will be conducted at Nimmo United Methodist Church 2200 Princess Anne Rd in Virginia Beach Tuesday, February 10th at 11 AM with a reception to follow, Dr. Charles Smith officiating. 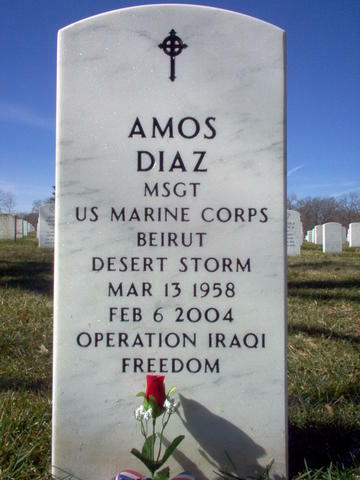 Interment will be at Arlington National Cemetery Wednesday, February 11, 2004, at 9 AM. In lieu of flowers a donation may be made to an educational trust fund that is being set up by his former command, Joint Forces Command, point of contact will be Master Sergeant Joe King at (757) 836-7683. Master Sergreant Diaz served in may operations around the world, including Lebanon, Operation Desert Storm and Operation Iraqi Freedom.